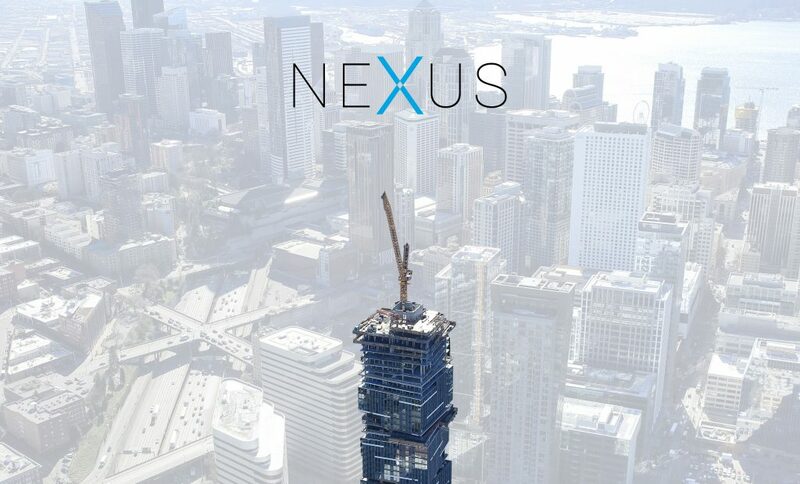 Having recently celebrated the “topping off” of the 41-story tower, NEXUS has returned to market with its remaining condominiums. NEXUS has sold 361 of its 389 homes, and first occupancy at the high-rise is scheduled for late 2019 — the soonest among all of downtown’s new construction condominiums, according to Julie McAvoy, the project sales director with Realogics Sotheby’s International Realty (RSIR). Robust presales prompted the retirement of the NEXUS sales center in June 2018 as the developer, Burrard Group, focused its attention on construction. Having recently celebrated the “topping off” of the 41-story tower, Burrard is now returning to market with the 28 remaining homes. New listings include one-, two- and three-bedroom condominium flats and Skylofts priced from less than $1 million to more than $2.7 million. Previously, McAvoy worked on several other Seattle projects, including the 229-unit Olive 8 in the retail and theater district and the 261-unit 2200 in South Lake Union. More recently, she led the marketing and sales of 168-unit LUMA on First Hill. McAvoy points to more than two dozen high-profile projects under construction and planned near NEXUS, located at the corner of Howell Street and Minor Avenue. They include several million square feet of office space; hundreds of thousands of square feet of retail, including new grocery stores; and the expansion of the Washington State Convention Center. 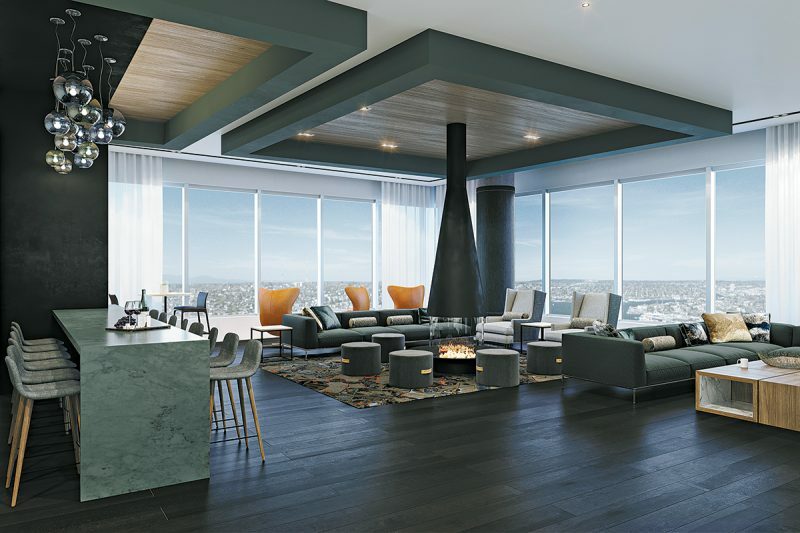 The 41st-floor Sky Club will have an entertainment lounge featuring a central fireplace. She says more than 10,000 high-rise apartment units have turned the immediate neighborhood into a vertical residential enclave; however, NEXUS remains the only community where individual homeownership is offered. McAvoy says the remaining homes at NEXUS will be particularly attractive to move-up buyers who are seeking the “next-generation condominium,” or downsizing empty-nesters looking for a convenient “lock-and-leave” lifestyle. Mainguy notes that Burrard broke ground on NEXUS two years ago and occupancy is expected by late 2019, approximately a year before other condominiums in the pipeline.